Fun fact about me: I like themed things. Like theme parks (hellooooooo Disney!) and theme weddings (don't judge me) and theme parties, though I will spare you the pictures of me at either the Executive Sluts party or the G.I. Joe's and Army Hoes party I attended in college. 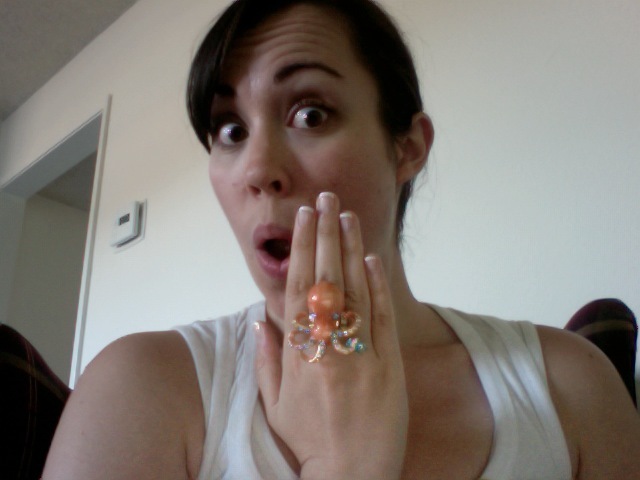 I have even considered throwing an Under the Sea party just to have an excuse to wear the obnoxious orange octopus ring that I HAD TO HAVE a few months ago. Super practical, Jessica. Good job. Thus, my addiction to Triple Tangent Tuesday/Twednesday and 15 Thing Friday was born. But that's only two days! Out of a whopping seven! So five days out of the week, I actually have to come up with something original to say and well... It isn't working. So we have a new theme day around these parts: SPEAK DA TROOF SUNDAYS! 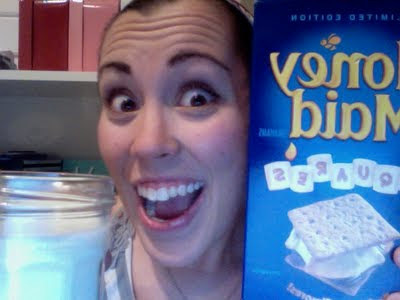 Today's Speak Da Troof: Sometimes I eat like an idiot. 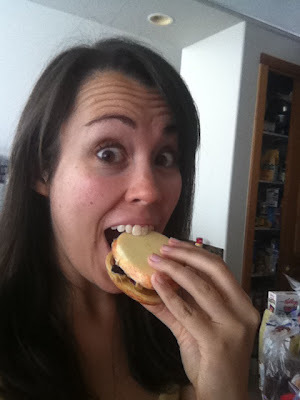 If you've read a single entry in this blog, you undoubtedly know that I love eating. Anything. All the time. But from time to time, I make stupid eating choices. By this, I don't mean that I make bad food choices - I'm trying very hard right now to get away from "moralizing" food, i.e. saying French fries are "bad" and spinach is "good." Is spinach a food low in calories and fat, and high in nutritional value? Yes. And are French fries a food high in calories and fat, and low in nutritional value? Yes. But that doesn't make French fries inherently bad, and spinach inherently good. They're just different foods. It might sound a little crazy, but I beat myself up over things, and the less I can moralize food, the more I can enjoy it for what it is. By "stupid eating choices," what I really mean is making poor decisions and creating an atmosphere of disordered eating. I've never had a traditional eating disorder like anorexia or bulimia, but that doesn't mean that I've had a healthy relationship with food. I think that a lot of people struggle with the relationship they have with food because, let's face it, it's a complicated relationship. We're given so many reasons for eating and enjoying food - yes, it's fuel for our bodies, but for many of us, it's also how our mom comforted us when we had a bad day at school, or how we celebrated holidays and special occasions, or how we show love to family and friends. And it's not a relationship we can just cut out of our lives... there's no breaking up with food! We have to deal with it on a daily basis. Sometimes it can feel constant and overwhelming. My relationship with food has changed a lot over the years. I've always enjoyed food, and have found many reasons to enjoy it. But as my weight increased, my relationship with food became trying - because it's something I enjoy, I didn't really want to change anything, but I started to feel guilty if I ate too much or I ate certain foods. And while I never suffered from anorexia, I would sometimes have the urge to skip meals entirely because it made me feel virtuous. I still sometimes have those urges, but not so much for the virtue... more because it gets too overwhelming. 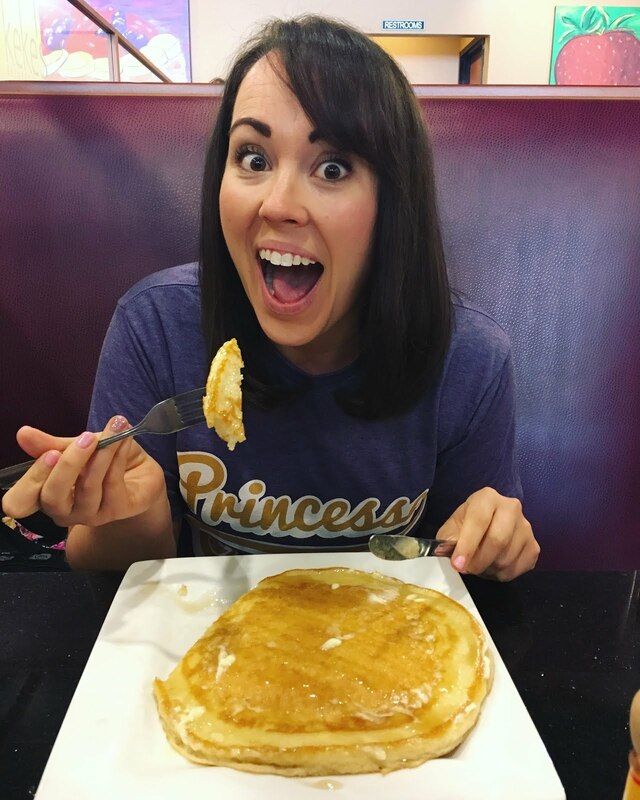 While I love Weight Watchers and am insanely grateful that it helped me with my own weight struggle, and that I can now help others, there are times when I feel like all I think about and talk about is food. It can get overwhelming to constantly be looking up or calculating PointsPlus values, tracking them, figuring out the best choices. Sometimes I just want to eat, but I always tend to go back to my old habits if I'm not careful. Running and high intensity exercise have thrown another wrench into this whole thing, as well, because now more than ever I feel an overwhelming need to "fuel" my body properly, and while I know what that takes, sometimes it just doesn't happen. Like, you know... pounding cookie dough ice cream before Turbo Fire. Or coming home from a long run and not eating for several hours. So on top of knowing that my weight, nutrition, and peace of mind about food may suffer... I know that my performance will suffer. Lately I've felt like each workout is a struggle, and while there are many factors to that, I know part of it is my continued struggle with striking a good balance of food. Like anything else worth the effort, I know that working on my relationship with food is important and that I need to stick with it. I have high hopes that ten years from now, I'll look back on this time in my life and just smile, knowing that I have come so far... not just in terms of my relationship with food, but my relationship with my body, with the world around me. It's a lofty goal, sure, and I am still coming to terms with the fact that it may not be possible for me to ever have a completely "cured" relationship with food - most likely, I will always be tracking my food and drink intake and needing to monitor myself. But for now, that's too overwhelming... so I'm just trying to take it day by day, and bird by bird.